AVAILABLE IN STORE ONLY - PRINT YOUR OWN and get money from friends and relatives! 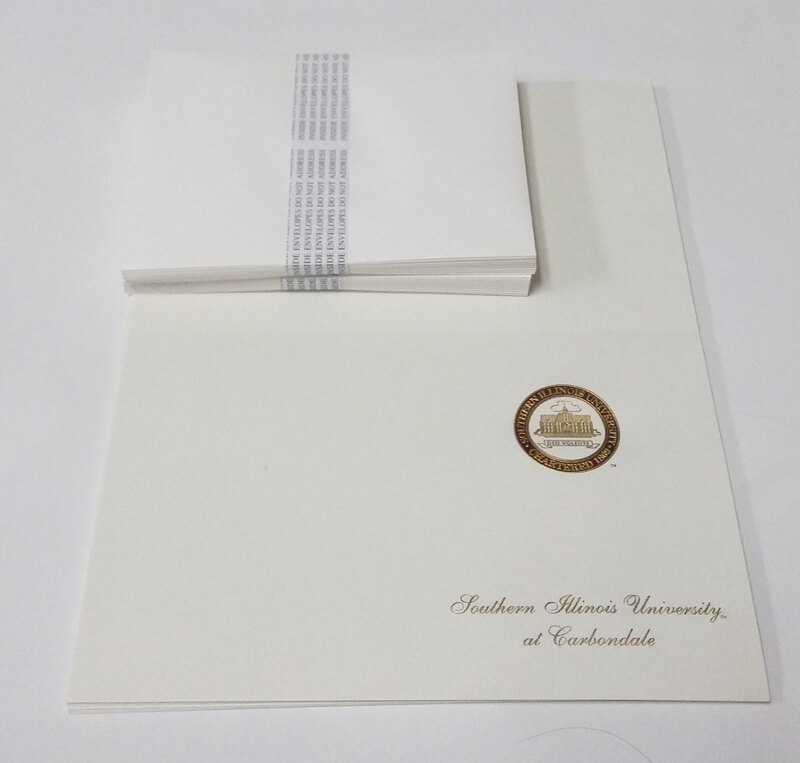 Set of 20 blank announcements with the official SIUC school seal emblazoned on the front, and an extra one for test printing. The set also includes 20 inside and outside envelopes. Available anytime at 710 Bookstore - 1051 S. Illinois Ave. Just ask about blank announcements.